Directed by Lew Landers. With Lee Aaker, James Brown, Joe Sawyer, Addison Richards. 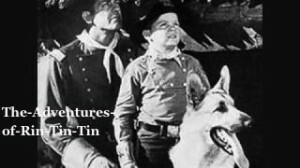 A giant condor is killing sheep and Rin-Tin-Tin is unjustly accused and by the law of the range must be destroyed. Rusty – Rinty’s owner hides him.